How Do Watermills Make Electricity? Wind energy is mechanical or electrical energy generated by harnessing the power of the wind. According to the U.S. National Renewable Energy Laboratory, one of the earliest devices to harness the power of the wind was the windmill, which was used to pump water and grind grain. A modern equivalent of the windmill is the turbine, which, like the windmill, uses propeller-like blades to catch the wind. These blades then spin a generator, producing electricity. According the San Francisco Chronicle, there are also a number of generators in development that are to be used to harness high-altitude winds. According to the American Wind Energy Association, there are two basic types of wind turbines: vertical-axis, or "egg-beater" style, and horizontal-axis, or "propeller-style." Some of these turbines are located on land, usually in areas that receive heavy wind, while others are located offshore, positioned to catch winds that run across lakes and seas. Newer generators will not be located on the Earth at all. Current generators in development will resemble kites, catching the wind in the upper atmosphere and relaying it to Earth through long cables. The vertical-axis turbines use a series of rotor blades that move in a circle around a central axis, which is sometimes in the shape of an egg beater. Horizontal-axis turbines, which are far more common than vertical-axis, have their blades arranged in the shape of a propeller and mounted on a tower, similar in design to a windmill. In the high-altitude generators, which operate under the same general principle as the turbines, rotors are carried aloft by various means, such as balloon and helicopter, and used to catch the wind. Turbines and generators produce electricity, which has manifold uses. 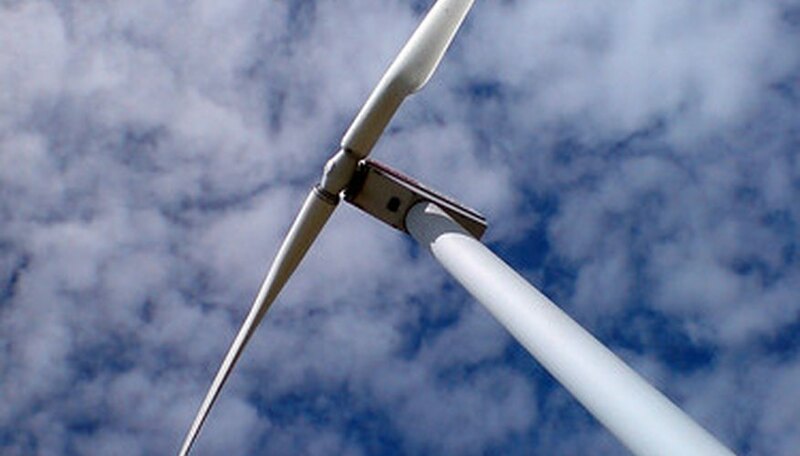 How much energy is produced depends on the size of the turbine and the speed of the wind going through the rotor. Wind turbines can either be used as stand-alone applications, in which they power single buildings or devices, or they can be used in groups, producing electricity that can be fed into a grid and transmitted elsewhere. It remains unknown whether high-altitude turbines would be used singly or in groups. These devices are beneficial in that they are quiet, renewable and produce almost no pollution. By consuming no natural resources and producing no hazardous wastes, wind energy devices represent an improvement, environmentally, over energy-producing technologies that burn fossil fuels, which use finite resources and generate pollution. 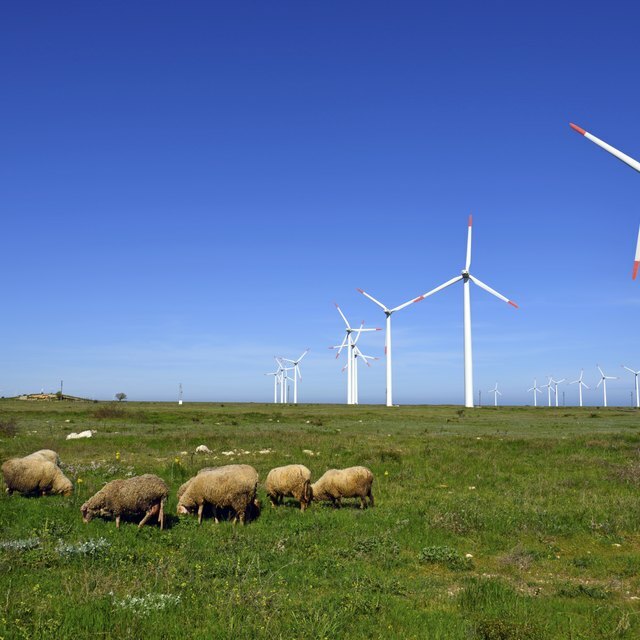 Electricity-generating wind power devices are relatively new and have the potential to be put into greater use in the future as their popularity increases and their efficiency improves. According to the American Wind Energy Association, wind energy could supply up to 20 percent of U.S. electricity, a significant increase from the current less than 1 percent. San Francisco Chronicle: "Inventors' high-flying kites harness wind power"
How Is Hydropower Gathered or Created? How Do Grain Windmills Work? Wolfe, Michael. "Devices Used to Harness Wind Energy." Sciencing, https://sciencing.com/devices-used-harness-wind-energy-5626358.html. 24 April 2017. How Are Windmills Used Today? How Is Wind Energy Produced?